The Amoralists: New York Theater Now! American Montage the eclectic and steadfast New York film production company and director Eric Marciano are currently in post-production on a three part documentary series about acclaimed downtown theater company, The Amoralists and the New York Off-Off Broadway scene. For 18 months beginning in June 2011 American Montage filmed this exciting theater company. 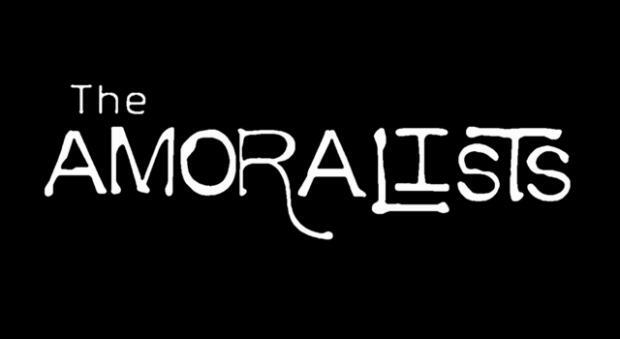 In their own words, "The Amoralists is a theater company that produces work of no moral judgment. Dedicated to an honest expression of the American condition, the ensemble explores complex characters of moral ambiguity. Leaving no stone unturned, we plunge the depths of social, political, spiritual, and sexual characteristics of human nature. We strive to make work that is completely accessible to all audiences – whether veteran or inexperienced theatergoers – putting theater at the heart of our community and expanding the possibilities and reach of the arts. By combining accessibility with moral ambiguity, our work initiates a startling dialogue between artist and audience." The Amoralists have brought a counter-culture of theater making to the main stream. They drink, they yell, they get naked, and fisticuffs are no stranger to their rehearsal room. From an outside view, it could seem that the company is teetering on implosion, and yet, since their 2009 critically acclaimed downtown hit The Pied Pipers of the Lower East Side, the company has been consistently making work that challenges the status quo, while appetizing main stream theatergoer and garnering admiration from some of today's most esteemed theater artists. The film series features three acclaimed shows filmed between June 2011 and September 2012, “The Pied Pipers of the Lower East Side”, “Hotel/Motel” and “The Bad and the Bad”. The founding members, playwright Derek Ahonen, artistic director James Kautz and Matt Pilieci as well as a plethora of actors, collaborators and associates are interviewed extensively including Sarah Lemp, Adam Rapp, Daniel Aukin, David Gibbs, Nick Lawson, Anna Stromberg, Jordan Tisdale, David Nash, Anthony Francavilla and Judy Merrick. The series takes an intimate behind-the-scenes look into the writing, rehearsal process and performance periods of three full productions. It reveals the fundraising, marketing, promotion and overall management that is required to survive and succeed in this decidedly non-Broadway world. It is a treasure trove of stories and information on how a new, non-union and non-conformist group of people create essential New York Theater and an exploration of a significant contributor to the vast New York Off-Off Broadway scene. Part One of the documentary series focuses on the company's inception upon graduation from The American Academy of Dramatic Arts and features their first big success and creation of an independent theater standard The Pied Pipers of The Lower East Side. Part Two explores the company branching out to work with more established artists in the theater community, namely their production of HotelMotel, the site-specific collaboration with writer/director Adam Rapp. Part Three focuses on their collaboration with Obie Award wining director Daniel Aukin, and their move to 42nd with their 2012 production The Bad & The Better. Part Three investigates the excitement and emotional turmoil that come as a result of the company's professional and financial growth, and the internal challenges that arise with increased recognition.